LA-based design company SottoStudios has unveiled the latest addition to its range of uber-luxurious vehicle makeovers: the Rolls-Royce Regatta. 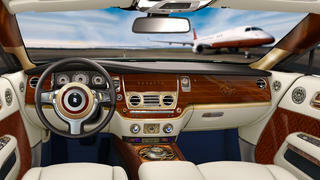 The American firm specialises in the customisation of private jets and high-end cars and, for its latest project, has turned its attention to the Rolls-Royce Wraith with an interior and exterior overhaul entirely inspired by classic yachts. 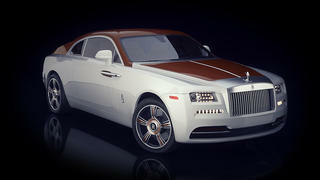 Of course, this is not the first time a Rolls-Royce has been given the nautical treatment. Just last year the marque itself released details of the bespoke Phantom Nautica inspired by yachts but SottoStudios has taken things one step further with a custom wooden bonnet, roof and trunk - recreating the classic teak decking of a superyacht - and a solid mahogany tail. Inspired by vintage Rolls-Royce models like the Boattail and Torpedo, the Regatta also features handcrafted wooden joinery and marquetry in the sleek leather and wood interior and a huge range of colour options are available for both the wood and paint of the vehicle. The transformation from Wraith to Regatta will be undertaken by Californian engineering firm Aria Group and is estimated to take between six and nine months per car with prices expected to be in excess of $1 million. For those looking for a little reassurance before taking the plunge look to the Skyacht One – the Embraer Lineage 1000E private jet inspired by classic yachts which SottoStudios unveiled in 2015 and later became the starting point for the Regatta.